The Mace Tank from Ample is a typical Subohm atomizer, which has 2ml/3ml capacity to suit different needs. The Mace atomizer applies the new AHC and ADC coils for best flavor and massive clouds and you are gonna love to use with them. The Mace Tank from Ample is a typical Subohm atomizer, which has 2ml/3ml capacity to suit different needs. The Mace atomizer applies the new AHC and ADC coils for best flavor and massive clouds and you are gonna love to use with them. Also, this subohm tank is top-filling and bottom airflow and you can add e-juice and adjust the airflow easily. • 3 months warranty for the Mace tank. Ample Mace Sub ohm Tank is a unique sub-ohm tank with 25mm diameter. It adopts a disc-shaped heating AHC (ample hive coil) and a ADC (ample dish coil), which horizontally locates in the bottom of the tank with capacities of 2ml/3ml. 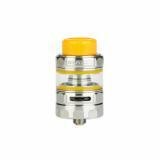 Ample Mace Subohm Tank is a stylish sub-ohm tank with 25mm diameter. It adopts a disc-shaped heating AHC (ample hive coil) and a ADC (ample dish coil), which horizontally locates in the bottom of the tank. It has capacities of 2ml and 3ml. Nice piece. Not for pretentious. Good battery life. Overall it's worth the money. Ample Mace Sub ohm Tank is a stylish sub-ohm tank with 25mm diameter. It adopts a disc-shaped heating AHC (ample hive coil) and a ADC (ample dish coil), which horizontally locates in the bottom of the tank with capacities of 2ml/3ml. This tank is the dogs danglies. Easy to load the liquid, no leaks!! Delivery was fast. At this price you can't go wrong. Comes with a coil all ready fitted and a spare in the box. Brilliant product. I very happy with my purchase. I really like So far I really like this tank- the unique coils are flavorful and and smooth. Nice design with no leaks On Mace-X Tank by AmpleVape love this Mace-X Tank with the disc coil, the flavor is really amazing. Ample Mace Tank is a stylish sub-ohm tank with 25mm diameter. It adopts a disc-shaped heating AHC (ample hive coil) and a ADC (ample dish coil), which horizontally locates in the bottom of the tank with capacities of 2ml/3ml. ótimo preço e produto, é bonito, design moderno, lembra um carro super esportivo, muito vapor! Ample Mace Sub-ohm special Tank is a stylish sub-ohm tank with 25mm diameter. It adopts a disc-shaped heating AHC (ample hive coil) and a ADC (ample dish coil), which horizontally locates in the bottom of the tank with capacities of 2ml/3ml. 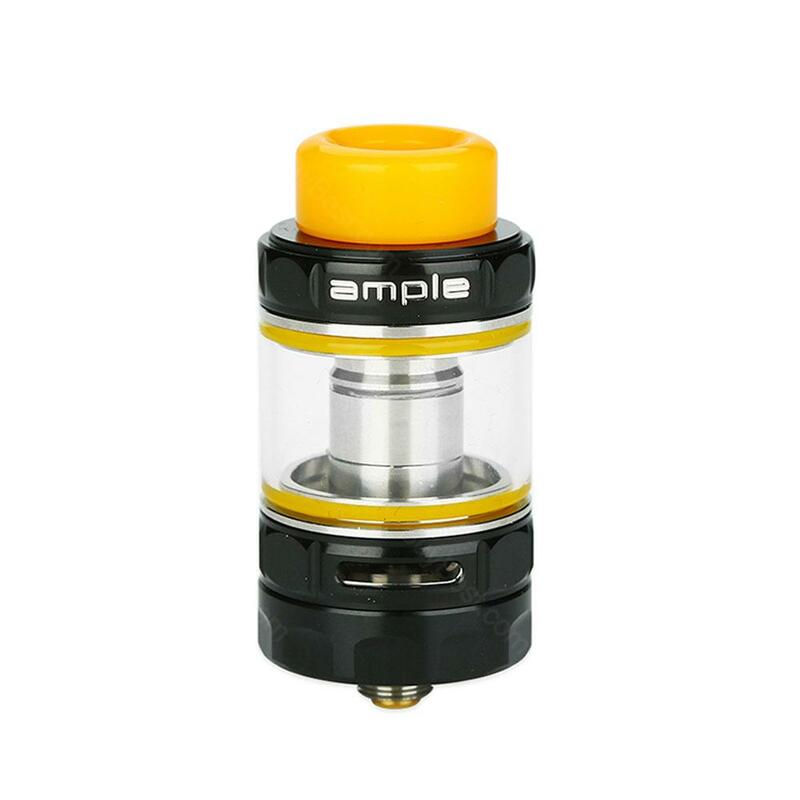 Ample Mace Subohm Tank is a stylish sub-ohm tank with 25mm diameter. It adopts a disc-shaped heating AHC (ample hive coil) and a ADC (ample dish coil), which horizontally locates in the bottom of the tank. Ample Mace Sub ohm Tank is a stylish sub-ohm tank with 25mm diameter. It adopts a disc-shaped heating AHC (ample hive coil) and a ADC (ample dish coil), which horizontally locates in the bottom of the tank with capacities of 2ml and 3ml.